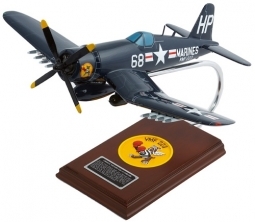 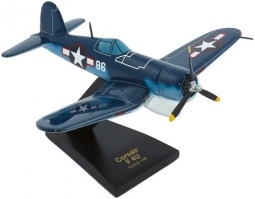 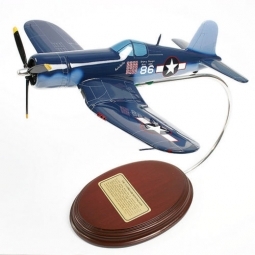 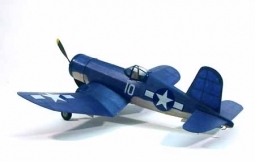 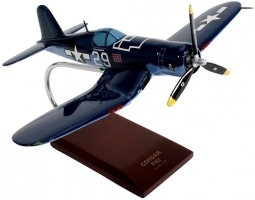 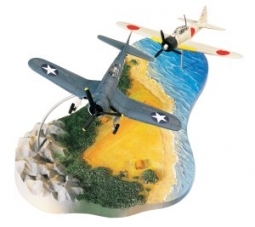 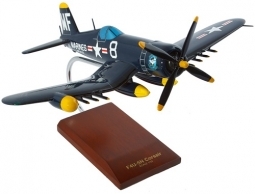 The Corsair, single place Navy fighter, was the last propeller-driven fighter made in the USA. 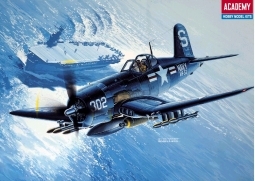 Unique in appearance with its inverted gull wing shape, it was designed for carrier operation but was also flown from Pacific airstrips by Marine Corps pilots and enjoyed a distinguished postwar career in Korea. 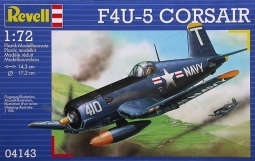 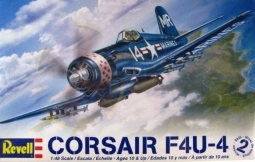 Vought F4U-4 Corsair USMC "VMF-214"